Maize Huller Polishes Maize by removing the Bran (Outer Layer) through friction as it passes through the chamber between the Emery Roller and Standard Size Sieve. Marina Maize Hullers require low maintenance and lower operational costs and does not need any skilled labour force to operate the machinery. Superior quality emery roller polishes maize and removes the bran with ease and it lasts for years. 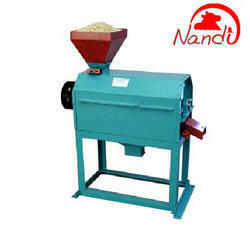 These machines are specially designed to give high output with low power consumption. MH 300 Maize Huller polishes maize by removing the bran (Outer Layer) through friction as it passes through the chamber between the Emery Roller and standard size sieve. Marina maize hullers require low maintenance and lower operational costs and does not need any skilled labour force to operate the machinery. Superior quality emery roller polishes maize and removes the bran with ease and it lasts for years. These machines are specially designed to give high output with low power consumption. We are engaged in presenting an extensive range of MH 300 Maize Huller to our clients. These polishes maize by removing the bran through friction as it passes through the chamber between the emery roller and standard size sieve. In addition to this, the offered hullers require low maintenance and lower operational costs. MH 200 Maize Huller polishes maize by removing the Bran (Outer Layer) through friction as it passes through the chamber between the Emery Roller and Standard Size Sieve. Marina maize hullers require low maintenance and lower operational costs and do not need any skilled labor force to operate the machinery. Superior quality emery roller polishes maize and removes the bran with ease and it lasts for years. 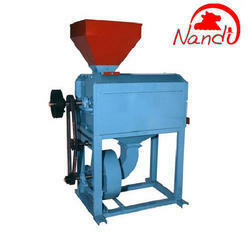 These machines are specially designed to give high output with low power consumption. We hold expertise in offering the wide gamut of MH 200 Maize Huller in the industry. The offered products can be made using quality tested components as per the customer's needs. In addition to this, these superior quality emery roller polishes maize and removes the bran with ease. These machines are specially designed to give high output with low power consumption. Looking for Maize Huller ?